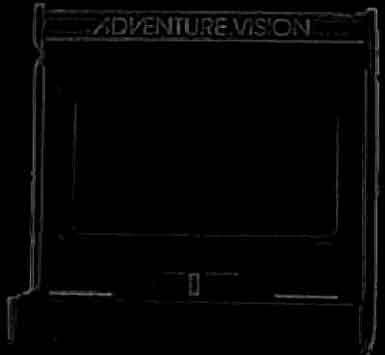 Here you will find all kinds of technical Adventure Vision information. ORIGINAL PROTOTYPE information from system creator Robert McCaslin is here. Here are three programs that might be useful if you are interested in modifying the above binaries. Specifically, his Odyssey 2 Tech Page is of most importance(since the O^2 uses an 8048 also). Cartridge Adapter to easily use 2532 ROMs with the system . The system has three PCBs. One for the display, one for the joystick, and the main PCB.